The Springs Living brings the gym to its residents, boasting resort-level amenities that refresh both body and mind. Research shows that you're not only likely to live an average of 10 years longer than your parents—you're likely to live healthier too. According to the U.S. Department of Health and Human Services, 40.4 million Americans (about 13 percent) were 65 years of age or older in 2010, and by the year 2030 almost 20 percent of the total U.S. population will be 65+. That’s a lot of seniors living healthier lives. The Springs Living is well aware that seniors today are more active and are looking for retirement living that matches their enthusiasm for life. With multiple locations in Oregon and Montana, The Springs Living is changing the face of the retirement living into resort-level living with amenities and programs to match. 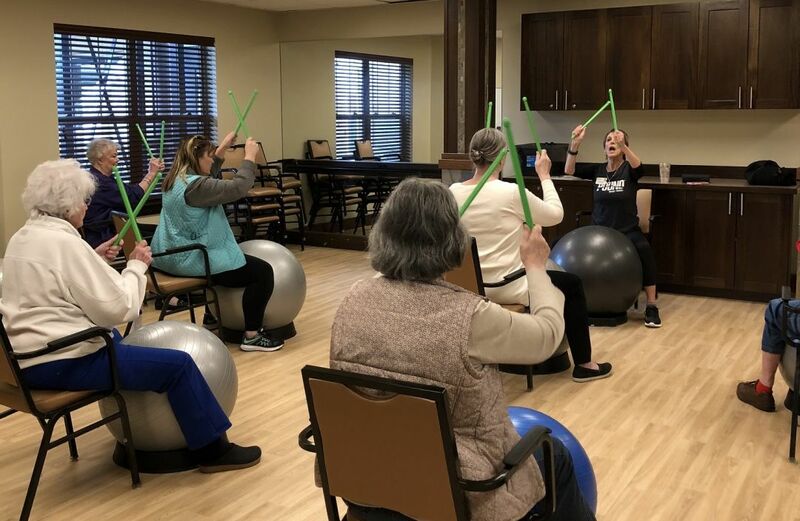 Janet Bodie, Fitness Instructor with The Springs at Tanasbourne, stays on top of fitness trends and modifies popular mainstream classes for this older population. Examples include PoundTM Class, which combines balance and core strength. “Participants drum by sitting down and pounding on an exercise ball,” she explains. “We pound to up-beat, fun music and the drumming rhythm increases focus and decision making, while also enhancing hand-eye coordination. 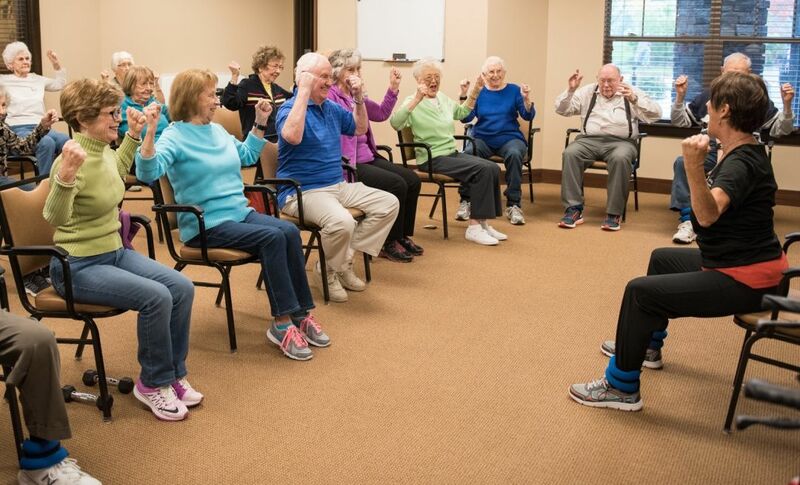 Not to mention, it’s really fun!” Bodie adds that the exercise classroom and gym at The Springs Living facilitate her ability to provide a variety of training modules including cycle classes, heart rate training and endurance performance, all modified for seniors. It’s been proven time and again that working out and getting your body moving not only strengthens you physically, but mentally as well—which for Bodie is a large part of why she loves her job. She also says a good morning workout sets the tone for the rest of the day including food choices, which play a significant role in the health and wellness of the residents she trains. “Staying active can boost vitality, help maintain strength and flexibility, improve mental function, reduce your risk for health problems, and even help relieve chronic pain,” she adds. Whatever fitness choices residents make, The Springs Living no doubt has a class—or two or three—they’ll find appealing.